ElectronicKitSchool. - Do you want to create electronic circuit project and then continue with design PCB layout manually and auto-route in this time? In here you need best software for this work. One software that will help you to create electronic project and layout PCB is OrCAD for Windows system which also popular in this time. In this article we will give you global overview about OrCAD PSpice software, and then we will give you link to take free download one version of OrCAD PSpice this is OrCAD PSpice 9.2 Full for Windows according that we given to you freely. 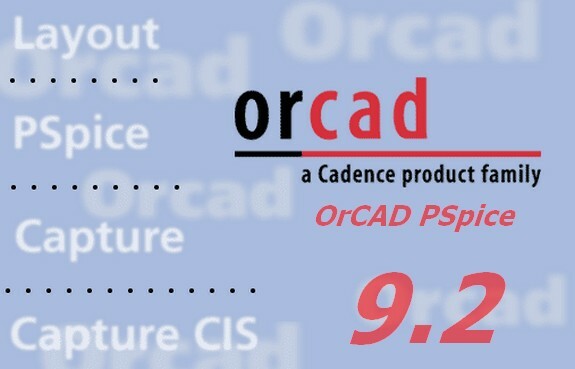 OrCAD PSpice version 9.2 is one version of OrCAD as electronic software that develop to help electronic student, professional, and hobby to design their electronic project. They can draw electronic circuit schematic using many component that provided by OrCAD and the number is very much components. And now you can click the icon link below to continue download OrCAD PSpice 9.2 Full for Windows. There are two files that you show download.